Triphala stands for three fruits and it is a polyherbal formulation that contains the extracts of Amalaki (Phyllantthus emblica), Bibhitaki (terminalia bellirica) and Haritaki (Terminalia chebula) in precise quantities. Triphala an extremely effective detox agent and can help eliminate the toxin buildup in the colon. 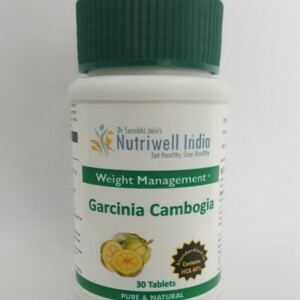 It is purgative laxative and also contains anti-carcinogenic and powerful anti-oxidant properties. Amla:helps to strengthen and nourish the lungs and the respiratory tract by removing mucus. Amla induces iron that aids blood circulation and maintains proper functioning of the heart. Behda:It act as a blood purifier and curbs hemorrhage. It is and internal cleanser removing harmful toxins and excess facts out of the body. Harde:It stimulates the functioning of the digestive and sensory organs. 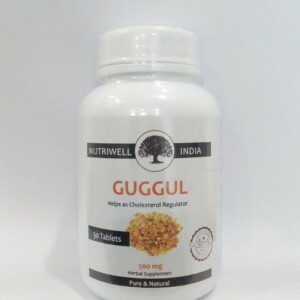 It is an effective in combating piles, anemia, gastro-intestinal problems and gall stones. 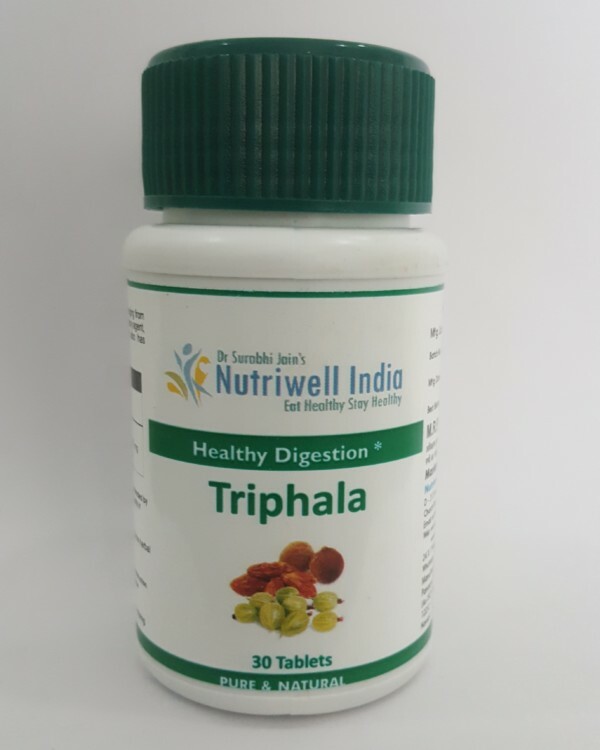 When coupled with diet and exercise Nutriwell’s Triphala is an excellent Detox agent and can also help in keeping the body fit. Best results are seen with Nutriwell’s Diet planning and exercise.